NYC, 04/30/2019, 6:00PM. 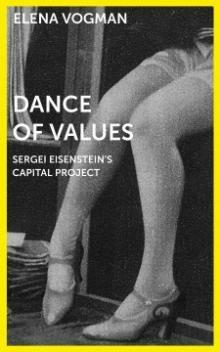 Dance of Values: Sergei Eisenstein’s Capital Project. Eisenstein’s adaptation of Karl Marx’s Capital (1927–1928) is a phantom in a double sense: although never realized, it has nonetheless haunted the imagination of many filmmakers, historians, and writers to the present day (most recently Alexander Kluge). Furthermore, its first public ‘materialization’ in 1974—a ten-page fragment of the director’s work diaries—was marked by what remained absent: Eisenstein’s images and working materials. Dance of Values aims to conjure the phantom of Capital once again—only this time on the basis of the full scope of Capital’s archival body. This “visual instruction in the dialectical method,” as Eisenstein himself called it, comprises over 500 pages of notes, drawings, press clippings, expression diagrams, plans for articles, negatives from October, theoretical reflections and extensive quotations. Elena Vogman is an author, independent curator and postdoctoral fellow in the research project “Rhythm and Projection” at the Free University of Berlin. She specializes on the history and theory of cinema and media, with a particular emphasis on forms of visual thinking, practices of montage and the relations between literature, ethnology, art and science.